God sent His own Son, Jesus, to die and rise again to save us. 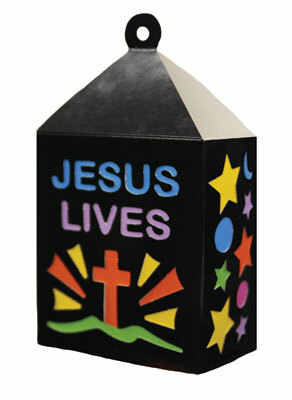 This lantern craft reminds children to share the good news that Jesus has risen! His light shines in the darkness. Contains uncolored paper lanterns only. Pack of 12. Pairs with Lesson 4 of Miraculous Mission VBS.